A belief that smoking a vulture’s brains brings powers of clairvoyance to the smoker – supposedly useful for predicting sports scores – has conservationists seriously concerned about a further decline in the endangered birds’ population numbers during the Fifa World Cup. Mark Anderson, director of Birdlife South Africa, said the practice, performed in order to forsee the results of sports matches and Lotto draws, was “one of the main factors” contributing towards “major decline” in vulture populations. With the World Cup, conservationists fear an increased use of vulture muti for betting on soccer games. A study conducted by Futureworks! and Ezemvelo KZN Wildlife titled Survey of the Trade in Vultures for the Traditional Health Industry in South Africa found that vultures are used in traditional medicines for a variety of purposes, “but are believed to be most effective for providing clairvoyant powers, foresight and increased intelligence”. 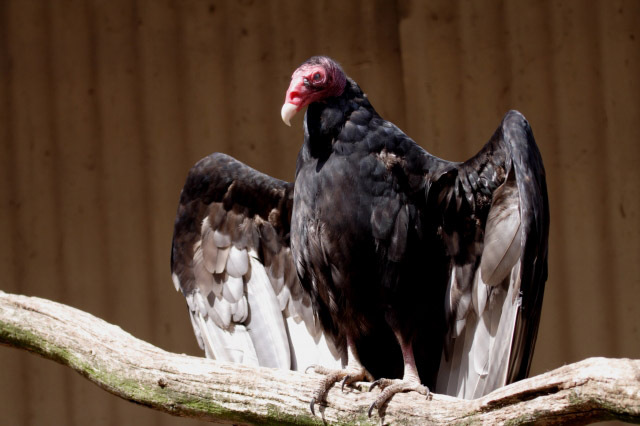 “It’s one of the reasons the vulture population is going down the tubes. We are really worried about this,” said Steve McKean, resource ecologist at uKhahlamba KZN Wildlife. The total number of vultures in Kwa-Zulu Natal, the Eastern Cape and Lesotho is estimated to be approximately 2,160, while the figure for the rest of South Africa is sitting at 720 (the number includes immature, juveniles and chicks, and includes all species). Some species are more threatened than others. “The Cape Vulture, White Headed Vulture, Lappet Faced Vulture and Bearded Vulture are probably the most threatened. But they are all in serious danger,” said McKean. “The rate at which they are taken down far exceeds the rate at which they are able to breed. If the numbers continue to fall as they have we may not see any Cape Vultures in the next 25 years, or 11 years, if we can’t keep a lid on this thing,” he said. The study concluded that an estimated 160 vultures are sold per annum in eastern South Africa and that there are some 59 000 “consumption events” of vulture parts yearly, with the vulture muti industry worth an estimated R1,185,600 per annum in eastern South Africa alone. Although the study focused on the eastern region, the researchers believe the figures are a proxy for the whole of South Africa. “It could very well mean extinction of certain species within the next 10 years, and we’ll probably lose all of them in the next 25. It’s a traditional thing, these things are pretty well entrenched,” said Myles Mander, director of Futureworks!. A Nyanga East traditional healer, who wished to remain anonymous, confirmed that vulture’s parts are used by traditional healers and sangomas. He said traditional healers eat the brain of the vulture in order to read the minds of their clients and increase their intelligence. “The foot and a beak of a vulture are believed to bring good luck in gambling. It must be cooked and then mixed with pre-cooked intestines and mixed with certain herbs to work effectively,” he said. He said the brain of the vulture was either drunk, inhaled, smeared on the body or rubbed thoroughly in the eyelashes. Traditional healers were supplied by poachers. He admitted to buying vultures, adding that he does not keep the birds in his shop as he does receive random inspections from authorities.